This eye-opening reader explores how communication values and styles can be similar or different for members of various cultures and communities. 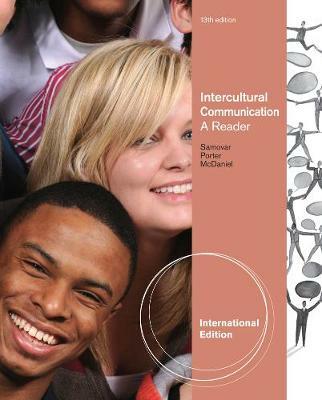 INTERCULTURAL COMMUNICATION: A READER, International Edition focuses on practical strategies you can use to communicate more effectively in a variety of contexts, including interpersonal, rhetoric, group, business, education, health care, and organizational. This broad-based, highly engaging reader, compiled by the authors who defined the course, includes a balanced selection of articles--some commissioned solely for this text--that discusses the classic ideas that laid the groundwork for this field, as well as the latest research and ideas. Material is presented in such a way that you can read, understand, and then apply course concepts to your own life.